The April Maze - Hailing from Melbourne this duo have been living on the road, touring since April 2010 non-stop throughout Australia and New Zealand in their 1976 kombi van. 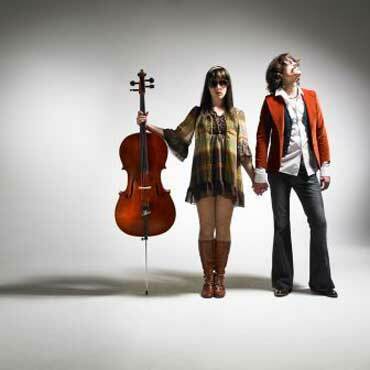 Their original music includes soulful cello, harmony, guitar, banjo, and a stomp box keeping syncopated rhythms punching through. April Maze will tour the UK, Canada and Europe in 2012. Gilbert Whyte - Gilbert Whyte is a Scottish songwriter who has drawn a performance style out of both traditional and contemporary folk and blues. Fingerpicking his way about Australia with a guitar in one hand and a banjo in the other, Gilbert is a relentless travelling musician. His rambling storytelling songs are earning him a reputation for musicianship and heartfelt performance wherever he goes. 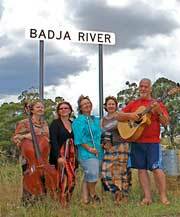 Badja River Quartet - Inspired by a chance meeting at the confluence of the Numeralla and Badja Rivers in the southern highlands of NSW, this five piece band features innovative arrangements of Celtic and old time songs and tunes. Cello groove, great vocals, whistle harmonies, piano runs, concertina squirls, beeyouteeful guitar, mysterious feetie things and a squirt of banjo. Coffee and tea is available but BYO refreshments and nibblies. The Shack is held on the first Saturday of every month. There's a cover charge of $20 (or $15 for members, students and pensioners) to cover costs. The Shack is a non profit organisation – all proceeds go toward the promotion and presentation of original, contemporary and traditional 21st century folk music.